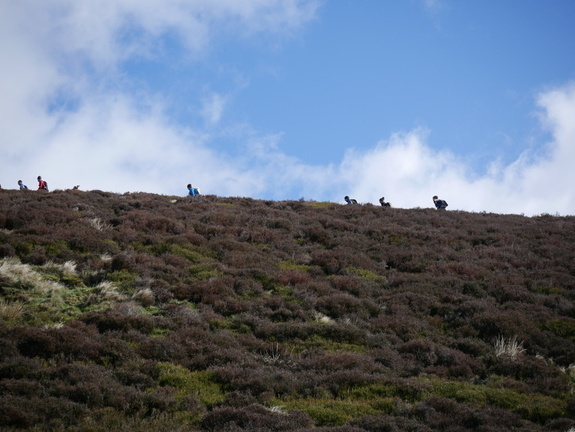 The Spine – sets off, and us lesser mortals will be following in awe…..either to Hawes, or all the full Pennine Way. It looks a bit chilly out there, congratulations to anyone who managed The Challenger, and hope everyone stays safe on the longer course. Upper Burbage Bridge – Juniors. Clough Head – this could be an important chance to be looking over the similar Championship course in May. Results. Cannock Chase Trig Points:- Results. Stanbury Splash:- some things change, as Wharfedale are now organising these races, and successfully done. Sadly we missed the familiar shouts of "Get Back!" at the start. Some things will never change, the usual cold and heavy going. Results.